Melbourne, you’re running out of chances…the 2019 NAB AFLW season is almost up. Do not miss this one. Closing out Round 6, Carlton get in a final home ground match for the fans. They’ll be taking on the Brisbane Lions. Close to Melbourne city and surrounded by parklands, Ikon Park is a beautiful spot to hang out on a Sunday afternoon with friends, or family…or both. 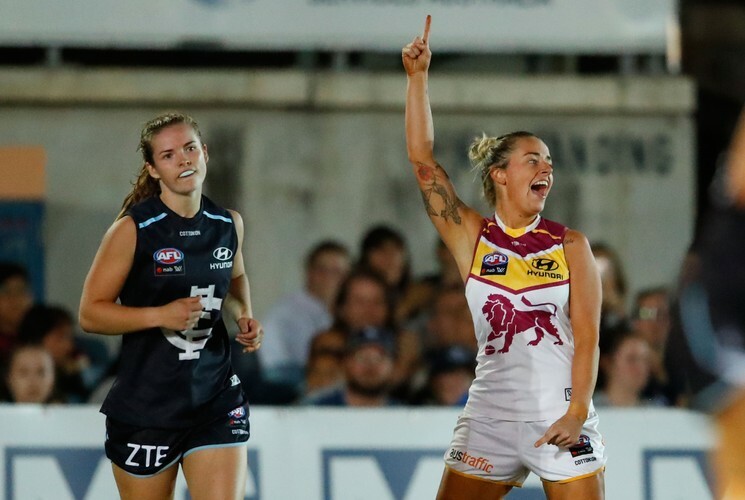 At the tail end of the season this is where the wins really count in deciding the final ranking before finals, so you can expect some spectacular and nail-biting footy. Both teams are going to be giving it everything they’ve got. There’ll also be an ice cream truck for the kids, and the Pimms Bar for the grown-ups.